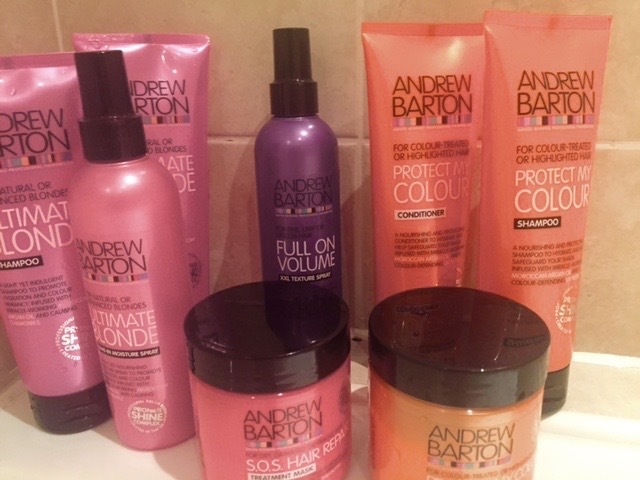 Back at the beginning of the year I tried out some amazing hair care products from Andrew Barton and wrote all about how much I loved them. They have recently brought out a whole new range and re-vamp of their products and I have been lucky enough to try some more out. There is a huge range of products to choose from as there is something for every hair type, obviously I love the blonde range however I thought I would try some other bits too. The Blonde range has had a slight re-vamp from my last review , the packaging is different and so is the formula but I love it just as much as I did previously. 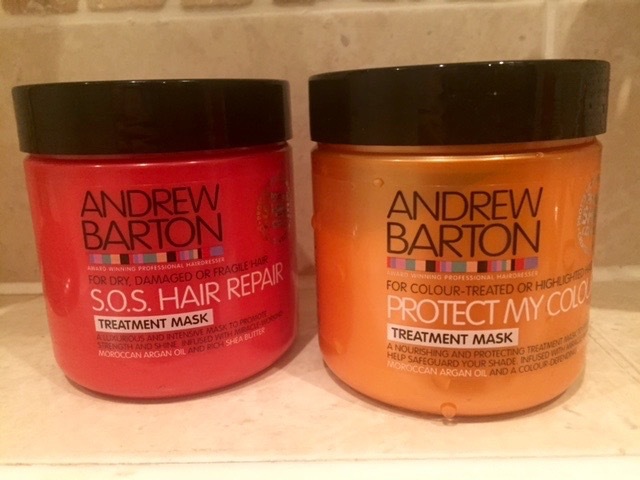 The new products I tried out included Two hair masks, the S.O.S Hair repair mask and the Protect my colour mask. I am a massive fan of hair masks and I use one at least twice a week. I loved using both masks, The S.O.S Hair repair instructs to use it between shampoo and conditioner which I quite enjoy doing. It revamped my slightly dry and dull hair and made it feel fuller and sleeker. The Protect my colour mask made my hair shiny and vibrant and brought out the colour a lot more, I'm a huge advocate of using products that keep your colour and this is definitely one of them. The sprays are something Im trying to get in to a lot more, as I mentioned in the previous post I have been using the heat protection spray a lot and I'm really loving using the texturing spray. Now my hair is looking a bit longer I think texturising sprays can really help it look like there is more volume and create that messy but styled look. 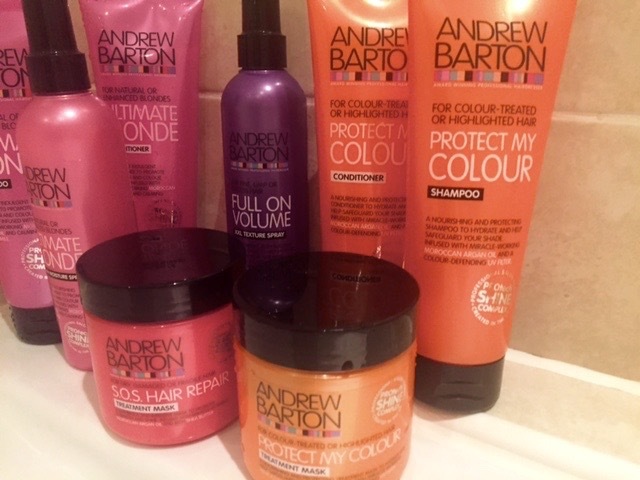 My favourite thing about all the Andrew Barton products has to be the smell! They all just smell incredible, and after use Im always sniffing my hair (Yep looking like a crazy person).On a whole all of the products are such great value for money, priced from around £3.60 each, they are affordable and actually work ! You can pick them up in your local Asda store or online here.